Shopping for Game of Thrones Patches? 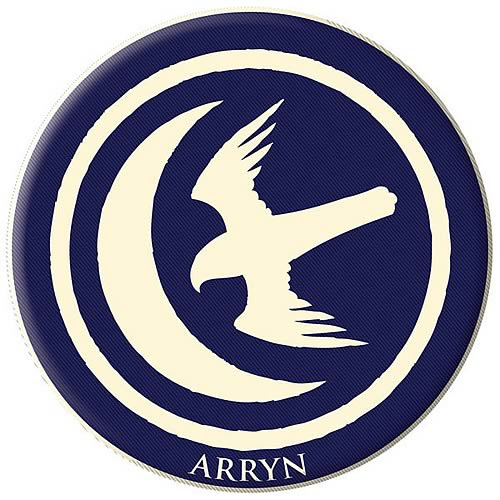 Represent House Arryn proudly with this Game of Thrones House of Arryn Embroidered Patch! With fierce and dedicated knights and the protection from all in the impregnable Eyrie of the Vale - all dedicated to the protection of Lysa Arryn and Lord Robert Arryn - why align yourself with any other house? Whether you use the Game of Thrones House of Arryn Embroidered Patch as a collectible or you've got an awesome denim vest you want to decorate with this bad boy, this patch makes a great item for any fan of the HBO show and book series from George R.R. Martin! Just look at how cool that blue eagle looks on the patch! The patch measures 3-inches in diameter.